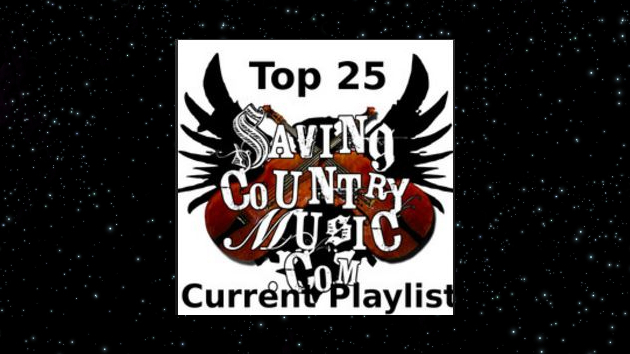 Saving Country Music’s official Top 25 Current Playlist has just been juiced with reinforcements and fresh horses to spirit listeners into the heart of spring with some of the best country music selections overlooked by most of popular media, but holding an appeal that is deemed worthy enough to be heard worldwide. Topping the list for this latest round is Sarah Shook and her band The Disarmers with the excellent traditional country selection “Keep The Home Fires Burnin. '” Though long-time Saving Country Music fans will already know this artist and this song from when it was featured in 2015, Shook has recently signed with Bloodshot Records, and her album Sidelong will be re-released on April 28th to a much wider audience this time. “Keep The Home Fires Burnin'” has been released ahead of the record, and is already gaining traction on various playlists. Sam Outlaw‘s just-released album Tenderheart still has folks buzzing, and though it’s hard to pick a best track, “Say It To Me” is possibly the most intriguing, while also being quickly infectious. On the subject of artists flying criminally under the radar, that is former .357 String Band member Joseph Huber by definition. On a very heavy release week, his fourth solo release The Suffering Stage is not to be overlooked, and his song “You Showed Me” was given a nod on the playlist. Chris Stapleton is certainly not suffering from a lack of attention, but his rendition of the song “Last Thing I Needed, First Thing This Morning” first made famous by Willie Nelson is so good, it would be a crime not to include it. And straight out of left field, a country music artists from Finland named Larry Peninsula makes the cut with his song “Country Music Only” that has been released ahead of a new record this summer. Makes sure to check out the guitar pickin’ on that one. It puts a lot of the pickers here in the States to shame. Lastly, Jaime Wyatt‘s slot in the Top 25 has been freshened with the track “Giving Back The Best of Me,” which she just released a brand new video for this week. CLICK HERE to Follow Saving Country Music on Spotify. I’m a regular listener to the playlist. I’ve really enjoyed discovering new artists and the sounds that are included, and the periodic updates are just a great idea. Trigger, just wondering, how do you determine the order of the songs on the list? Is it random or is there a method you use? There’s no particular method to the song order, nor is there any sort of rating to the songs in how they fall on the playlist. I do tend to put newer songs I add near the top, but not always. I’ll select the songs I want to add, shuffle them around a little bit, and then I’ll listen to it a couple of times to see how it flows. I try to make sure there aren’t any lulls, and try to find songs that lead into each other well. But I also try to not obsess over it, which is easy for me to do. Additionally, any other Spotify playlists you’d recommend? I’ve really been enjoying Joseph Huber’s music lately. Great playlist, thanks for sharing. off topic but a good week on late night this week – On Monday, Marty Stuart will be on Colbert, and on Wednesday Nikki Lane will be on Conan. I saw Chris Stapleton perform that song live recently. Larry Peninsula is new to me. It looks like I have a lot of new music to catch up on. big fan of Sam Outlaw. going to see him in OKC on May 10! stoked!